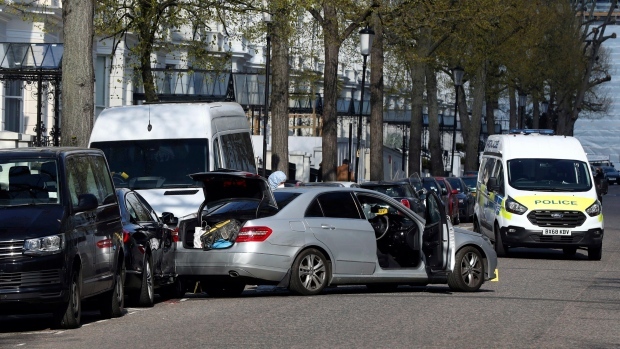 Police had to open fire on a auto after the Ukrainian ambassador to the UK's vehicle was "deliberately rammed". Police were immediately called and they opened fire after the man behind the wheel rammed the auto a second time. London police say he also drove his auto toward officers. "In response, the police were forced to open fire on the perpetrator's vehicle", it said. However, law enforcement stressed that they were not treating the incident as terrorist-related. The media outlet noted, citing witnesses, that at least 10 shots had been fired. Police say the suspect is a man in his 40s who did not appear to be injured but was taken to a central London hospital for a precautionary check.